Here at Crocus Pine Ranch our objective is to specialize in reining, cow and cutting disciplines. We raise good minded all around Paints & Quarter horses with the pedigrees, dispositions & conformation. A mind built to perform & excel in almost any direction whether it is performance or pleasure. We have a nice herd of select horses, whose pedigrees include such names as: Colonels Smoking Gun, Colonels Lil Gun, Be Aech Enterprise, One Gun, Dual Pep, Peppy San Badger, Smart Little Lena, Hollywood Dun It, Strait From Texas, Mr Gun Smoke, Cooke County Etc, Peponita Pine, Mito Cody and more! These are some really nice bloodlines, and we are constantly bringing in new blood to try new crosses. 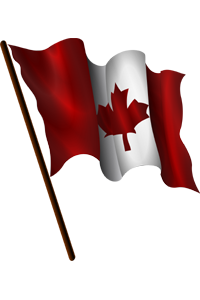 If you are from out of province or country and interested in one of our horses please feel free to contact us we have shipped and have some very repeatable shippers that have hauled for us, we will help you get your new family member home safe and sound! You can't forget to check out our Siberian Huskies!! We are a small kennel who uses our Siberians to sled and be family companions, we occasionally have puppies for sale to loving pet homes. Our Huskies have great attitudes and would make wonderful family pets or sled dogs. We are very excited to announce our new stallion prospect "Hesa Splashy Gun". We are currently working on getting his own page up, keep checking in! 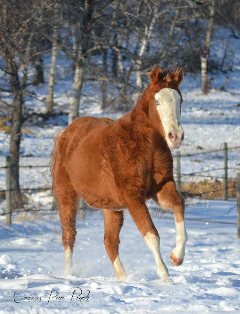 Hesa Splashy Gun – 2016 Bay Splash Colt AQHA/APHA registered. 5 Panel Clean, Color tested Sw1 & Sw2. 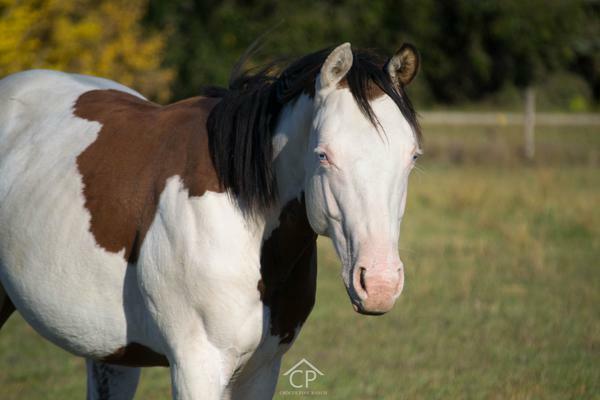 He is by Hesa Hot Gunner 2015 Reining Alberta Provincial Prime Time Champion, 2015 Reining Alberta North, Ltd. Non Pro High Point Champion, 2015 Reining Alberta North, Senior Reiner High Point Champion, 2014 Reining Alberta North - High Point Champion - Senior Reining, 2014 Reining Alberta North - High Point Reserve Champion - Beginner Horse Non Pro, 2014 Reining Alberta North - High Point 3rd Place - Non Pro who is by the infamous Colonels Smoking Gun. Besides the great Colonels Smoking Gun (NRHA 5 Million Dollar Sire & Hall Of Fame). He also boasts great horses such as Be Aech Godiva - NRHA money earner & Carolina Classic Champion x Be Aech Enterprise - 1.4 million dollar Sire & #6 NRHA all time producer, grand dam Shesa Hot Chocolate is a producer of over $101,000 & a NRHA World Champion. His Dam is Busy Winnin Chex the 2011 MS Sweetheart Novice Horse Open Champion. She is out of 2 Million Dollar NRHA Sire Nu Chex to Cash, he is also a multiple World Champion AQHA Reining & Working Cow Horse. She is a 7/8 sister to Hilldale Farm's Top stallion "Busy Winin Chex" , her dam has produced $25,000+ offspring earnings.